Satan has many ways to attack you, but he will probably not waste his hellish energy on trying to persuade you today to curse Christ and throw your Bible in the trash. He seems to have had far better success with other people over the centuries in a slow and gradual seduction and distraction with other passions. The bigger danger to you is that your fire and love for Christ’s gospel will just cool down a little more each day until one day you realize that you are spiritually numb. You don’t care about anything. You feel nothing. The New Testament epistle to the Hebrews has five powerful warnings. Here is the first: “We must pay more careful attention, therefore, to what we have heard, so that we do not drift away. For if the message spoken by angels was binding, and every violation and disobedience received its just punishment, how shall we escape if we ignore such a great salvation?” (2:1-3).Note the dangers: “Drift.” “Ignore.” You can kill your faith-relationship with God with neglect. Forewarned is forearmed. Start by telling Satan to get lost. Rebuke him, and he will flee from you. Listen to the love letters in the Word that bring warmth and light and life. Let holy sap from Christ the Vine flow into your tired soul. Let the Spirit speak to your spirit. Smile again. You are loved. Everyone fears death on some level. Even if we’re firmly rooted in Christ, there’s so much that’s unknown about what we’ll experience. And then comes judgment, which is another thing that can cause anxiety. But unless Jesus returns first, death is something we’ll all experience. 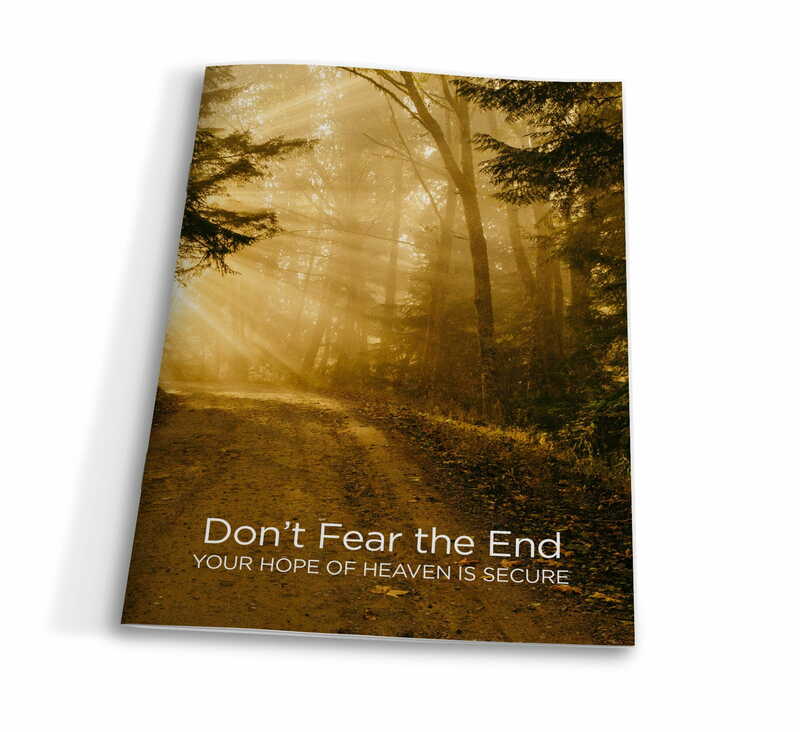 So we want to help you face death without fear by sending you our new book, Don’t Fear the End: Your Hope of Heaven Is Secure. This book shows you how to live fearlessly, knowing your assurance comes from Jesus who has secured your salvation from beginning to end. Don’t Fear the End is our thank-you for your donation to help take the timeless truths of God’s Word to more people all over the world through Time of Grace. Request your copy today!